Canadian marijuana stocks Tilray and Canopy Growth pared deep losses Tuesday as U.S. markets continued their downward slump in October. Aurora Cannabis pared losses after falling sharply following its New York Stock Exchange debut. Tilray fell 1.4 percent in U.S. trading, while Canopy Growth also slipped 1.4 percent in Canada. An exchange-traded fund that tracks popular pot stocks fell 2.8 percent. Known as the ETFMG Alternative Harvest ETF (MJ), the fund dropped more than 9.2 percent on Monday, its second-worst day ever. The MJ ETF is down 14 percent this month. Tilray fell more than 15.5 percent in the prior session, posting its worst day since Oct. 2, when it dropped 16.25 percent. After the bell the company said it issued $25 million in convertible notes in addition to the $450 million in notes tendered earlier in the year. 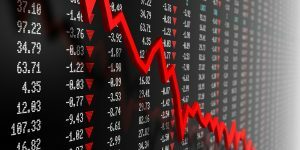 Toronto-listed Aurora Cannabis and Canopy Growth also contributed to Monday’s decline, sliding 12.2 percent and 11.2 percent, respectively. Aurora also started trading in the U.S. on Tuesday, dropping 14 percent in its NYSE debut. Traders blamed several reasons for the sell-off in the big cannabis names. Several large conferences in the past few weeks, as well as legalization in Canada on Oct. 17, generated excitement in the space and bid up prices, one Canopy Growth shareholder told CNBC. Monday’s move may reflect a degree of profit-taking, investors said. Investors could also be raising cash before the launch of three big U.S.-based cannabis companies on Canadian stock exchanges within the next month, the trader said. Acreage Holdings, one of the U.S.’ largest vertically integrated multistate cannabis operators, announced earlier this year that it had closed a Series E funding round, securing $119 million of capital. The company is expected to launch on the Canadian Stock Exchange in early November.